When To See A Doctor | Lance P. Richard, P.A. When Should I See a Doctor After an Accident? Often people are taken to a hospital emergency room when they are injured in a serious car or truck crash. However, sometimes people are involved in an auto accident or truck accident and they don’t seek medical attention right away. They delay because they don’t feel any pain or other effects from the crash, or because they hope the pain will subside and they won’t need to see a doctor. Other times, they’re afraid of going through the hassle and expense of opening an insurance claim or filing a personal injury claim with a lawyer. Unfortunately, delaying medical treatment can backfire. 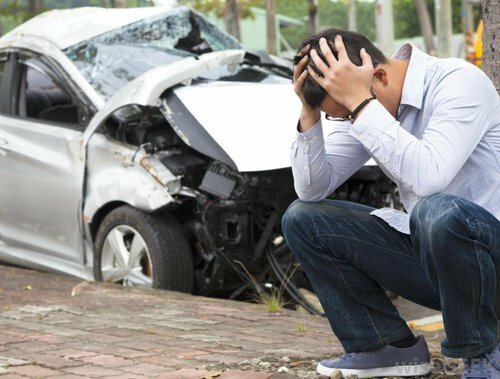 You may be involved in an auto crash and you climb out of your car and tell everybody, “I’m okay, I’m not hurt.” But the next day, you’re in a LOT of pain. You think, “I’ll take a few Ibuprofen and I’ll be fine.” Instead of going to the emergency room or seeing a doctor, you wait. Then, a week or two later, you realize that something is definitely wrong, you end up having neck and back pain and you need medical attention. Whenever you’re in a car crash or truck accident, you should seek medical attention as soon as possible. Even if you don’t feel any pain that first day, or even if you think the whiplash from the accident will subside, you should still see a doctor. If you delay, the insurance company will try to use that against you. They will argue that you weren’t really hurt in the accident; they can also try to reduce, if not deny your claim altogether because you did not see a doctor soon enough. Most importantly, Florida has a new law which requires that you see a doctor within two weeks of a motor vehicle accident. If you do not seek medical treatment from a doctor within the 14 day window following your car accident, you will forfeit use of you motorist’s Personal Injury Protection (PIP) coverage. Insurance companies are no longer required by law to cover the medical expenses of those who wait to get treated, even if symptoms manifest after 14 days. So, how long should you wait to see a doctor after a car accident? You should see one within three days, but the sooner the better. Not only is rapid medical treatment important to your claim, but you need to do it for your wellness and long term health. You could have a head injury, a concussion, or neck and back injuries and not know about it until days later. Or, you could have internal bleeding or a fracture. Usually, once the adrenaline wears off, your body will let you know something is wrong by sending pain signals to the affected area of the body. If you can’t get into to see your regular doctor, you can visit your local emergency room or go to an Urgent Care clinic. Whether you have been injured in a car accident, truck accident, motorcycle accident, boating accident, or slip and fall, give our experienced and dedicated team a call. With over 20 years of experience in helping accident victims, we have developed relationships with dedicated medical professionals who can treat you and help get you back into life.